Hi! Another candle?!? Yep. And why am I uploading this one all on it's own? Uh-huh. This one is a wee bit different than the other three. This is a 3 wick candle in a glass base. 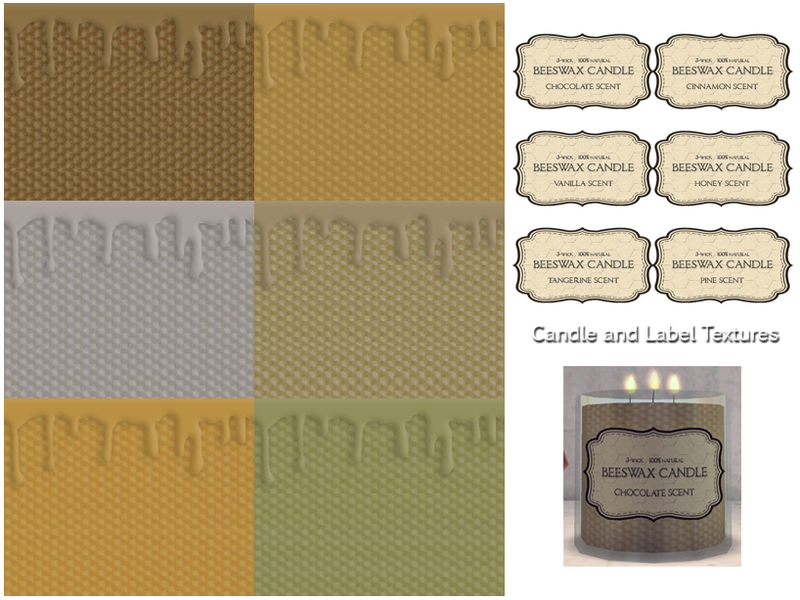 There are 2 subsets, the candle and the label. 5 recolors are included. This is functional so can be turned on and off. Look for it in Lighting>Table Lamps for 20 Simoleons. Please note: The glass is shiny so if you put this candle outdoors, it will be really, really shiny. SimPE, MilkShape, PhotoShop CS2, Michelle for the textures and EA for the candle I edited. 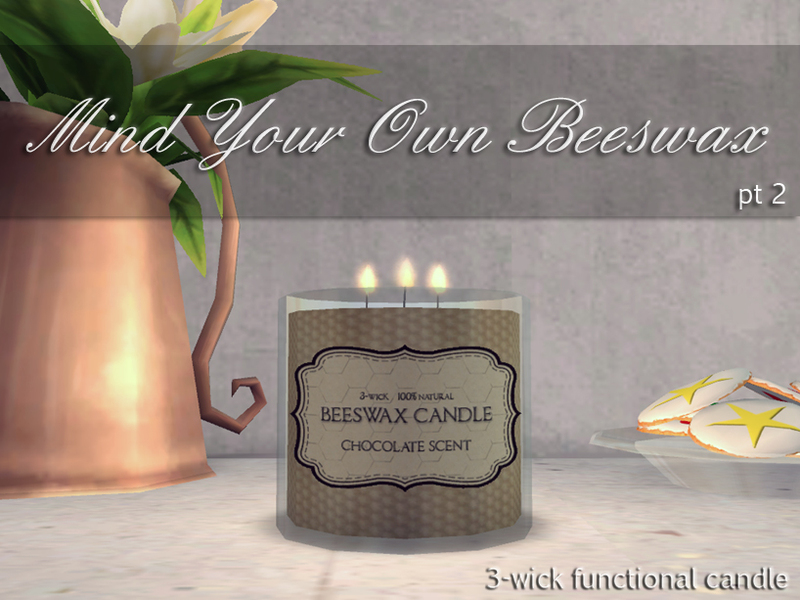 MLC-3WickBeeswaxCandle.rar | Description: 3 wick candle, 5 recolors. These recolours may or may not be endorsed by mustluvcatz.